Mixes the best of two worlds high-flying, speedy thrills with all-terrain exploration. If you love high-flying fun, we have it. 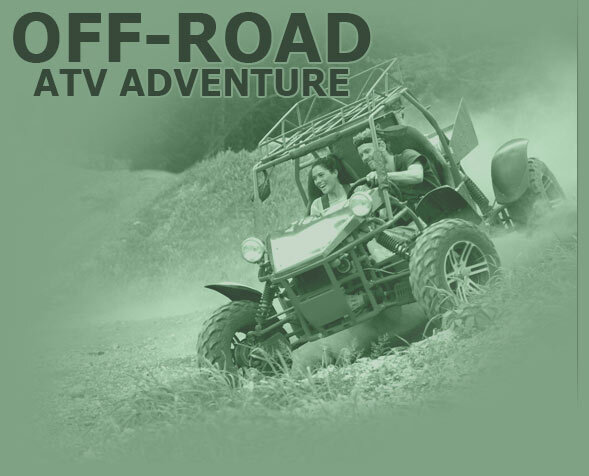 If you’re comfortable behind the wheel of an ATV, we’ve got you covered. If you like to feel the wind rushing against your face, our combination package is perfect for you! Are you the type of person that likes to hole up in your hotel room during a vacation and let fun slip through your fingers or do you want to get out there and immerse yourself in whatever is available? If you fall into the latter category, we have the perfect series of adventures for you, and you don't even have to traverse the length of the island to get from one activity to the next. With the Extreme Adventure Combo Package, everything you need is in one place for the ideal day of adventure. If you love high-flying fun, we have it. If you're comfortable behind the wheel of an ATV, we've got you covered. If you like to feel the wind rushing against your face, our combination package is perfect for you! Every family-friendly activity you could imagine is here, waiting to deliver on a full day of excitement and thrills. Most of these extreme adventures take place around the Adventure Tower, which is host to a series of aerial adventures. 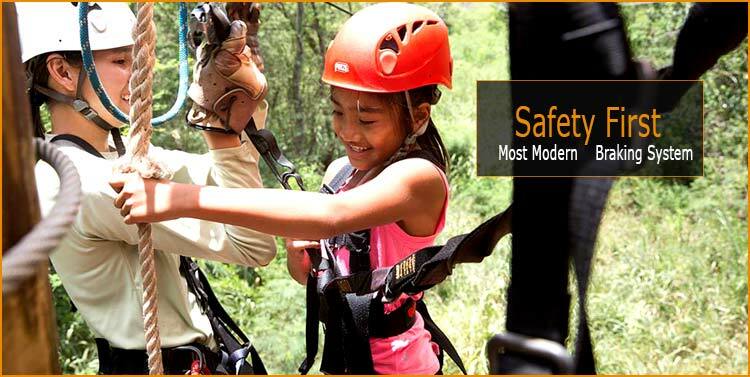 From shaky rope bridges to a heart-stopping 50-foot drop to the ultimate thrill ride, King Swing, there are many ways to enjoy this high-flying experience. The higher you climb up the tower, the more there is to experience. You'll start with a vertical climb and graduate to testing your balance along a series of rope bridges and suspended platforms. Before you know it, you'll be begging to be strapped in for the freefall or the pendulum-like King Swing experience. When you're ready to plant yourself back on the ground, it'll be time to jump behind the wheel of one of our all-terrain vehicles for a drive through a series of technical courses. Cut into the beauty of Oahu, these courses provided thrills in the form of unexpected bumps, twisting turns, and the occasional mud puddle. Don't wear anything that can't get dirty – you and your passenger are bound to walk away covered in dirt and dust. After two laps, swap out with your fellow rider and enjoy the drive from a different perspective. Speeding through Oahu on the ground will give you one perspective, but one of the best vantage points is when you're strapped into our 6-zipline course. 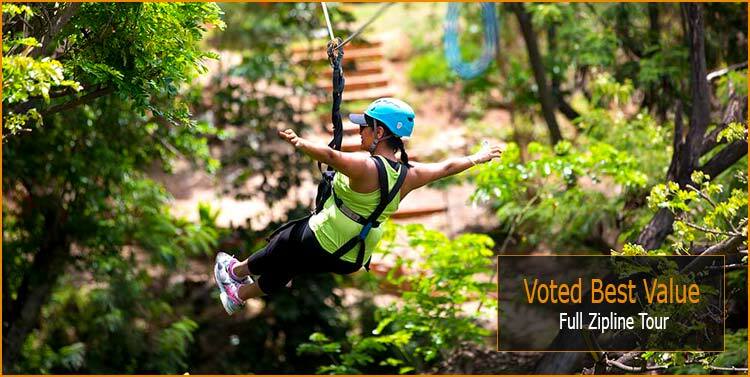 If you thought dropping 50-feet was a thrill, just wait until your zooming along thousands of feet of cabling, passing over dense foliage and rich landscapes of the island. Be sure to bring a camera along – there are unbelievable views to be had that you won't want to forget. Participants must be 18 years old to drive an ATV. Younger riders can be a passenger. Kids Ride free on ATVs. 1 kid free per paying adult.